Hello, welcome to My Random Ramblings! Tiny Tales is the flagship content of this blog – one that I have poured my heart and soul into. Without much ado, let’s get started. What is a tiny tale? An extremely short story in less than 200 words that packs quite a punch. Less is more, and these tales do just that. These tales may be short, but do not underestimate their ability to tug at your heartstrings. They can leave quite a footprint in your heart. If you are wondering how I became obsessed with tiny tales, you may read all about that here. Here’s a list of all the tiny tales I’ve ever published on this blog. tiny tale #14: Google to the rescue! 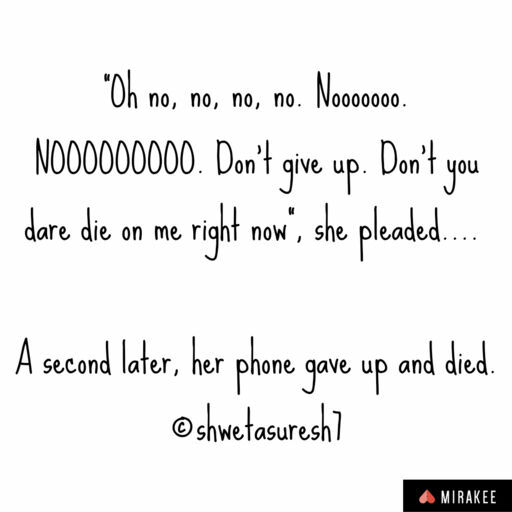 tiny tale #19: Love of her life! 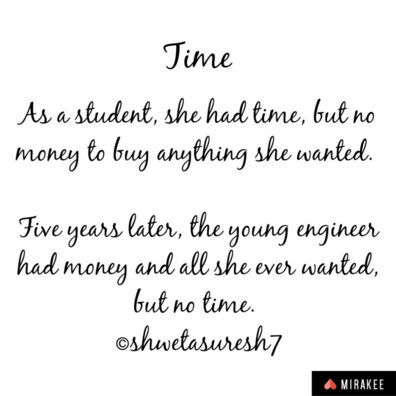 © 2017-18 Shweta Suresh. All rights reserved.